Do you want to learn more on Taurus and Libra compatibility? Then you have just come to the right place. Check it out. A couple formed by Taurus and Libra is quite high as long as they learn to respect their natures. But before checking the compatibility, learn a bit more about each of these signs. Taurus is an Earth sign and needs to have stability in the couple. Libra is an Air sign. It is also a very harmonious sign and when those born under Libra fall in love, they dedicate themselves to their relationship. Libra has a very idealistic temperament and needs the security that Taurus can provide for the firmness of his character. Earth and Air combine with intellectual acumen. The relationship between these two elements can work if both partners are prepared to be a team. If so, it can be very healthy, but if partner from the element of Air starts criticizing the other, then it might demotivate him and then Air might actually get frustrated with Earth’s slower pace. 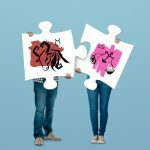 Taurus and Libra compatibility: how will the relationship work? Libra has some difficulty making decisions and needs the help from Taurus, who is quite strong in character, to be firm in his goals. Taurus is can actually help Libra to work on improving his self-confidence so he is able to make his own and firm decisions. The couple formed by Taurus and Libra have the same regent planet – Venus – which makes both feel a special attraction for beauty. Libra loves art and its artistic manifestations. Taurus is attracted to art but no so deeply as the Libra partner does. These characteristics that are common to both of them will help them get involved in their relationship in such a way that it can actually last long. The communication established in the couple consisting of Taurus and Libra should be based on a lot of understanding. Venus, being both signs regent planet, has an important role in the expression of love between this couple of Taurus and Libra, which can reach its maximum splendor. The communication can though go through some issues, as Taurus has a very direct way of communicating, which could hurt Libra who is refined and loves elegance. Anyway, if the love between both of them is true, they should strive to find a balance in their relationship. The intimacy of the couple Taurus and Libra will be full of great romanticism and love. However, Taurus is very jealous, which can disturb the relationship. So, it is advised that Libra with its balance encourages mutual trust.